In 1870, Pope Pius IX declared St. Joseph the Patron of the Universal Church. This strong and silent saint, to whom alone God the Father entrusted the guardianship of the Holy Family, is known under many titles. Having died in the arms of the Blessed Virgin Mary and Jesus, St. Joseph is often invoked as the patron of a good or happy death. 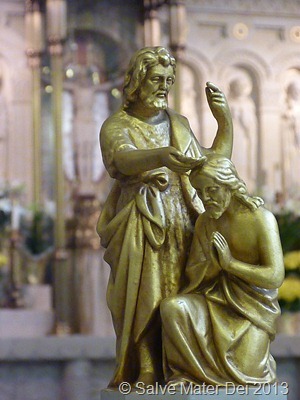 The good St. Joseph is well known as the patron of families and of workers or carpenters. In a meaningful way, St. Joseph is also venerated as the preeminent patron of fathers and foster-fathers. In this present age, during which the institutions of marriage and family have been denigrated and the very role of fatherhood is under attack; an age which has deprived so many virtual orphans of the experience of the love of an authentic father, St. Joseph stands as powerful a model and witness as he is an intercessor. St. Joseph, Please pray for us! Please join me in praying the Novena to St. Joseph; most especially entrusting to him the concerns of all fathers and families, as well as the needs of the Universal Church. Remember, O most illustrious Patriarch St. Joseph, on the testimony of St. Teresa of Jesus, your devoted client, never has it been heard that anyone who invoked your protection or sought your mediation has not obtained relief. In this confidence I come before you, my loving protector, chaste spouse of the Blessed Virgin Mary, Foster-Father of the Savior and dispenser of the treasures of His Sacred Heart. Despise not my earnest prayer, but graciously hear and obtain my petition. . . . (here, mention your petition). Let us pray. . .
O God, Who by Your ineffable Providence, You chose St. Joseph to be the spouse of Your Holy Mother, grant, we beseech You, that he whom we venerate as our protector on Earth may also be our intercessor in Heaven. We ask this though He Who lives and reigns forever and ever. Amen. 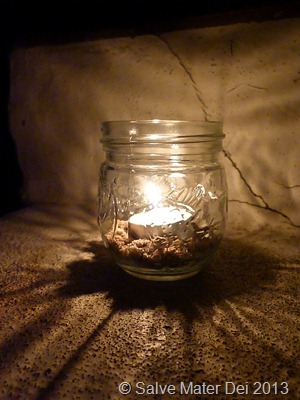 And illumines the darkness of my heart? That embraces my being and buries it in yourself. Holy Spirit — eternal love! Holy Spirit — eternal life! 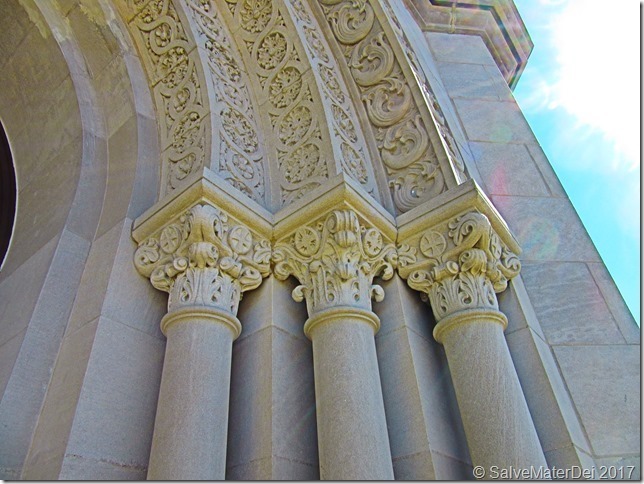 Holy Spirit — ray that penetrates everything! Holy Spirit — victorious power! Holy Spirit — God’s molding hand! Holy Spirit — Creator of all! May these days of preparation open our hearts to the love of God, and prepare us to receive the abundant gifts and robust fruits of the Holy Spirit. The Lorica of St. Patrick: "Faeth Fiada"
As this Holy Feast Day of Saint Patrick occurs during the Liturgical Season of Lent- a time set aside for robust prayer- it is fitting to post the beloved and powerful Lorica, or St. Patrick’s Breastplate Prayer. The original text of this prayer dates to the 5th century and is attributed to St. Patrick. According to tradition, St. Patrick wrote it in 433 A.D. in supplication for Divine protection before his successful conversion of the Irish King Leoghaire and his subjects from paganism to Christianity. Throughout Sacred Scripture the image of the breastplate of armor is used to not only to convey the might and power of God, but also to call to men to emulate that same righteous strength within their humanity by wrapping themselves in the Theological Virtues of Faith, Hope and Love. The Lorica of St. Patrick magnificently inter-weaves both the praise of the Divine might and a human supplication for the requisite strength to replicate it in battle. Likewise, man is exhorted to “Stand therefore, and fasten the belt of truth around your waist, and put on the breastplate of righteousness,” in Ephesians 6: 14. Again in Thessalonians (5: 8), we are called to clothe ourselves in the Theological Virtues, “But since we belong to the day, let us be sober, and put on the breastplate of faith and love, and for a helmet the hope of salvation, “ that we might belong to Christ. My favorite version of this prayer was penned by Cecil Francis Alexander in the year 1889 at the request of H.H. Dickenson, the Dean of the Chapel Royal at Dublin Castle. This current version has been set to music and is cherished by the faithful of many Christian denominations. May the beautiful words of this prayer touch your heart as deeply as they do mine, when I pray this each and every day. I bind this day to me forever. Lá Fhéile Pádraig Sona Duit! This past calendar year has been one of travel for my family and I. I can honestly say that I have put on more frequent flyer miles, stayed in more hotels, stuffed more suitcases, and experienced more of the world as a sojourner than in all my previous years combined. Now that much of the hustle and bustle is through- at least for the time being- it has been on my heart to “unpack” it all and examine the gift of this precious time in light of Lent. As Christians, we are all called to journey. In a very real sense the life of every Baptized Christian is itself a journey; for by our Sacramental call, we are not merely aimless wanders in this life. Rather, we have a destination and a mission. We are called to love, honor and serve God in this life so that we might enjoy eternal bliss with Him for all eternity in Paradise. During the season of Lent, we focus more directly on just what it means to love, honor and serve God by seeing Him and loving Him concretely in our neighbor. It is thus, that during Lent we engage more fully in prayer, fasting and almsgiving so that we can have eyes that genuinely seek Him, ears that truly hear Him, hands that willingly serve Him, and a heart that overflows with love for Him. By definition, a journey implies movement and transition; there is both a definite beginning and a finite end-point. As Christians, we recognize that Jesus Christ is our Alpha and Omega- He alone is our beginning and end. If our journey is not focused on Christ, that is, on gratefully recognizing the Providential love of God in our past, engaging Him fully at each moment of our present, and desiring to above all rest in His embrace in the finality of our earthly end, then our journey runs the risk of merely being self-directed wandering. For it is only with the Lord as our guide that our destination is secure: “Therefore you provided a flaming pillar of fire as a guide for your people’s unknown journey, and a harmless sun for their glorious wandering (Wisdom 18:3).” God neither forces His love, nor His plan upon us. If we choose to wander around like lost sheep in the desert, rather than remain close to the shepherd and the rest of the flock, the Good Lord will let us. However, it is only in journeying with Him that our hearts will find the object of their desire and the happiness that accompanies it. While all journeys involve travel, not all travel is a journey. Real journeys involve true sacrifice of precious commodities like time, money, sleep, comfort and personal security. Recently my family and I were privileged to be part of a once-in-a-lifetime pilgrimage with the Milwaukee Mercy Choir to sing for the Holy Father, at both the recent November Consistory and the Papal Mass closing the Year of Mercy (I intend to blog more regarding this pilgrimage in coming weeks). We traveled with one hundred seven individuals, fifty three of whom – like my daughters and I – were vocalists in the 300 member International Mercy Choir. 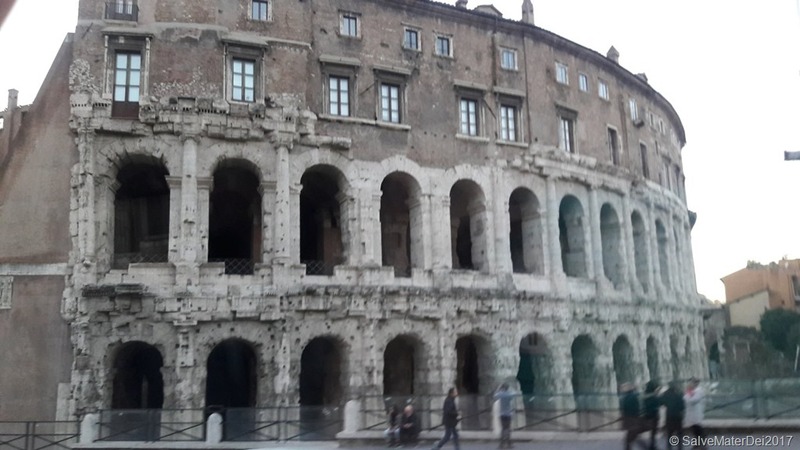 For nearly eight months before the first plane ascended into the evening sky toward the Eternal City of Rome, there were endless hours of planning and preparation. The sacrifice for the journey was tangible – from the financial cost of travel, the hours of choir practice, to the temporary separation from loved ones who were unable to travel with us. Even before the morning we all boarded buses for the airport, there was a real sense of sacrifice. Travel itself is not comfortable. While the most carefree among us might have found snaking through airport lines and security with 107 fellow pilgrims to be an adventure, for most travelers, stepping through the airport security scanners is enough to leave one feeling uncomfortably vulnerable at the acute loss of privacy. Vulnerability, moments of discomfort and uncertainty all seem to be among the hallmarks of an authentic journey. On a journey like this, the traveler quickly learns that time is relative. 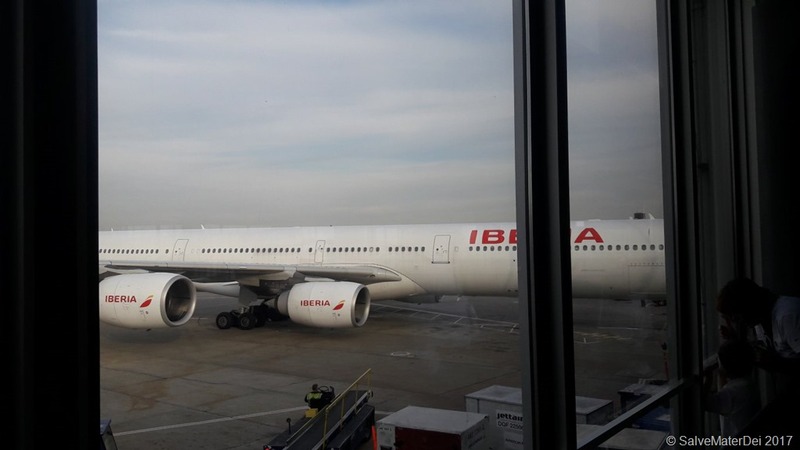 There must be an unwritten rule that the length of queues, such as the line to have one’s passport stamped at the Immigration Kiosk in Spain, is invariably inverse proportionally related to the time remaining before the flight is scheduled to leave. International travel with a group of this size could be characterized as intense moments of urgency and panic separated by hours of tediousness- both waiting for flights, and during the 8-10 hours crossing the Atlantic. Intense prayer is another of the hallmarks of a journey. Through it all, I had a rosary in one pocket and a chotki in the other, and prayed constantly –especially when it looked like we were going to miss our flight back from Spain to the U.S., and during those gut-wrenching moments of in-flight turbulence. Yet as much as I prayed, I knew that others were praying as well- both those on the pilgrimage and those who were supporting us with their prayers. We in turn prayed not only for ourselves, but carried with us the intentions of hundreds of people who had trusted their precious concerns in our intercession. The honor of praying for others, and in turn being prayed for by them, is one of the indescribable joys of a pilgrimage, and this particular journey. Yet, so it is with Lent. We and our fellow pilgrims sacrifice – both individually and collectively- to journey toward a real goal. We pray for each other and are in turn supported in a real way both physically and spiritually by the fruit of that prayer. We sacrifice our time and comfort, giving alms, fasting, and praying intently. While this time period is measured in real moments- hours and days – it also transcends time, and bears significance in eternity. Travel shakes us of the constraints of our routines. The comforts of home – food, a comfortable bed, cleanliness, our favorite clothes, our sense of security- are all left behind for a duration. Don’t even get me started on time zones and jet lag…. Journeys involve sacrifice. Yet, because of that sacrifice, we are privileged to behold vistas that were previously unimaginable. 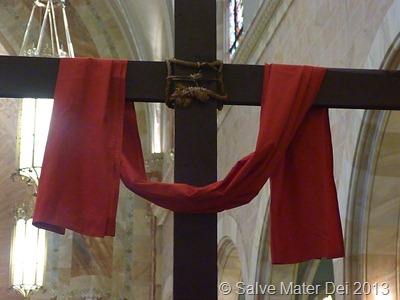 May the sacrifice of the Lenten Journey bear spiritual fruit for each and every one of us in both time and eternity. From the time I was a child, I remember Lent being referred to as a journey. Year after year, there has always been a familiar rhythm, a comforting pattern to this penitential season that has absolutely resonated within me. Several of my adult and nearly adult children have expressed to me that Lent is their favorite liturgical season, and cognizant of my own love of this precious season of grace, I can fully appreciate their view. The liturgical readings, seasonal hymns, and homilies are all focused on this period of 40 days during which we are called to journey. 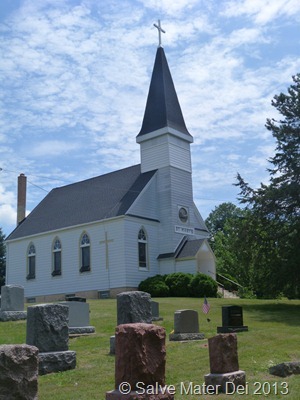 Throughout these days, familiar traditions like the readings and prayers of the daily Divine Office, the weekly Stations of the Cross, and the daily meditations are welcome markers along the Lenten road. 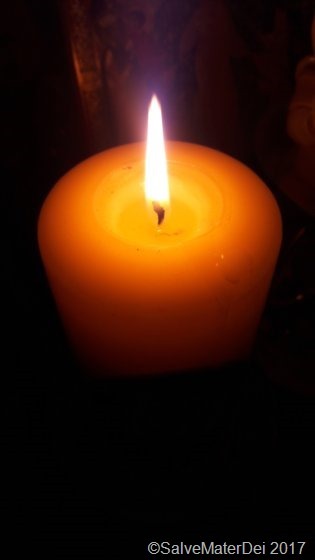 Yet, even though I grew up in this religious tradition, and – as a cradle Roman Rite Catholic – have been accustomed since my youth to this period of fasting, prayer, and almsgiving, I have long felt the need to examine the significance of this particular journey more closely. This is my first blog post in a very long time, and hopefully it will be the initiation of a new beginning. Those who know me well understand that it is not merely an over-committed schedule that has kept me from writing -though it has certainly been a handy and justifiable excuse. Among those issues that are churning deeply within my heart and soul is the directive of Pope St. John Paul the Great in Line 54 of his Encyclical Ut Unum Sint, in which the Holy Father declared that “the Church must breathe with her two lungs.” Raised in a traditional Roman Rite Catholic family, I have a deep and abiding love for the tradition into which I was Baptized and Confirmed. 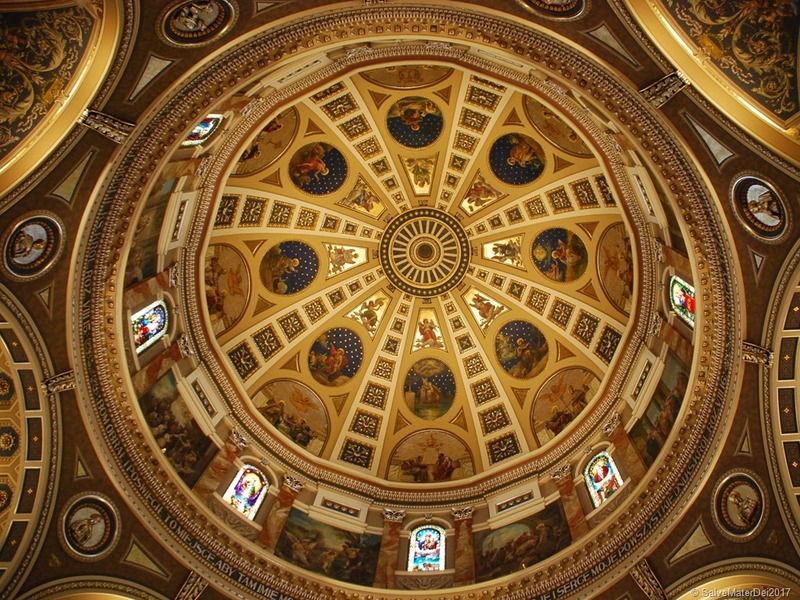 Yet, I am also deeply drawn to Eastern Catholicism, and through a program of rigorous study over the past several years, have earned a graduate certificate in Eastern Christian Spirituality. I have found that the struggle to find balance and authentically begin “breathing with both lungs” as an individual Catholic can be challenging. I also recognize that those personal tests often reflect in microcosm the complexities faced by the larger Church. During this Lenten period, I intend to focus my journey on the path before me; engaging and appreciating both the familiar landscape of the West, as well as the less trodden vistas on the horizon toward the East. 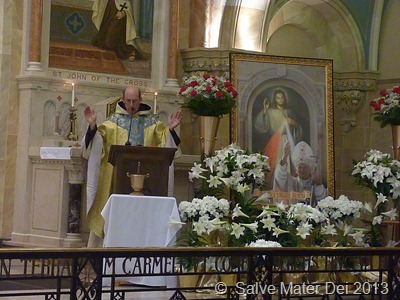 We are nearing the culmination of this Octave of Easter Week: the Feast of Divine Mercy. It has been a glorious week, with each day celebrated as a mini-Easter. We have prepared with both the Novena of Mercy Chaplets, and the special novena dictated by Our Lord Himself to St. Maria Faustina in preparation for this incredible feast. In this fire of Your pure love let these tepid souls who, like corpses, filled you with such deep loathing, be once again set aflame, © SalveMaterDei.com, 2014. Most compassionate Jesus, You are Compassion Itself. I bring lukewarm souls into the abode of Your Most Compassionate Heart. In this fire of Your pure love let these tepid souls who, like corpses, filled you with such deep loathing, be once again set aflame. O Most Compassionate Jesus, exercise the omnipotence of Your Mercy and draw them into the very ardor of Your love, and bestow upon them the gift of holy love, for nothing is beyond Your power. The complete text of the ninth day of the novena is also available via the Divine Mercy Website of the Marians of the Immaculate Conception at: http://thedivinemercy.org/message/devotions/novena/ninthday.php. 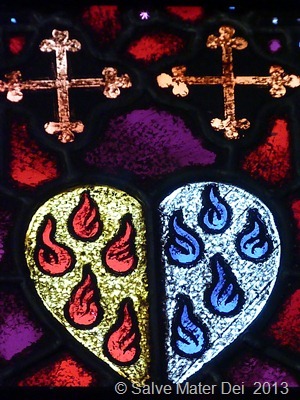 May These Souls Once More Be Set Aflame With Your Love © SalveMaterDei.com, 2014. Yikes, those words sting! When I look deep within my own soul, I see those moments of arrogance, and hypocrisy, and I shudder to think that Our Lord might be speaking of me! I don’t want to be lukewarm! I certainly do not want to be the cause of Our Lord’s loathing. “I Pour Whole Oceans of Grace Upon those Souls Who Approach the Font of My Mercy. . . Diary line 699 © SalveMaterDei.com, 2014. Our Lord’s love and mercy are immeasurable! He desires to save us, and offers each of us the opportunity to accept the gift of His mercy. This great feast was instituted as not only a celebration of God’s Divine Mercy, but also a vehicle to obtain it. 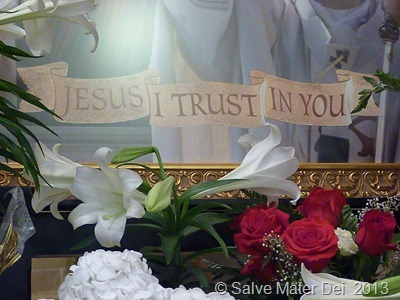 Celebration of the Feast Includes the Solemn Blessing of the Divine Mercy Image… © SalveMaterDei.com, 2014. Jesus was very specific regarding the institution of the Feast of Divine Mercy, speaking about it through 14 entries in St. Faustina’s diary. He stipulated that it was to be liturgically celebrated on the Sunday after Easter, and that it include the solemn blessing of a Divine Mercy image bearing the words “Jesus, I trust in You!”Likewise,Our Lord stipulated that priests preach on the subject of the immense Mercy of Jesus during Holy Mass on Divine Mercy Sunday. This promise is extraordinary! Blessed Pope John Paul the Great – officially instituted Divine Mercy Sunday in 2000, and reiterated the importance of this feast in His homily a year later. “Oh Blood And Water Which Gushed Forth from the Heart of Jesus Christ as a Font of Mercy for Us, I Trust in You! © SalveMaterDei.com, 2014. On Mercy Sunday special Masses will be celebrated around the world to commemorate this solemn feast. This year will be especially significant as Pope St. John Paul II, who canonized St. Maria Faustina, and officially instituted the Feast of Divine Mercy – will himself be canonized, along side Pope St. John XXIII. (A) Sincerely repent of our sins. (B) Offer our complete Trust to Jesus. (C) Sacramentally Confess our sins and be Absolved – (within 8 days prior or after). (E) Pray for the intentions of the Holy Father. 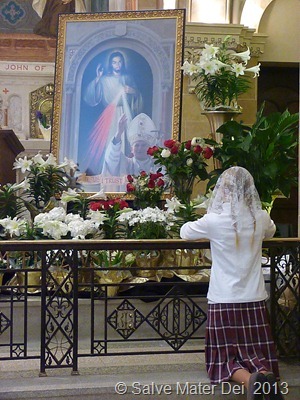 (F) Venerate (show a gesture of respect) to the Image of the Divine Mercy Jesus. (G) Be Merciful! Extend Our Lord’s mercy to others by being merciful. This great feast is an extraordinary celebration of the love and mercy of Christ. Unimaginable graces are poured out upon the whole world through it. Rejoice! Celebrate! He is Truly Risen Indeed! Alleluia! Among the chosen souls to whom Our Lord has deigned to disclose the abundance of His Goodness was a young, uneducated Polish nun named Sr. Faustina Kowalska in the 1930’s. From her childhood, Helena Kowalska was a well-balanced, obedient, and pious young lady. She was the third child in a family of ten – a child accustomed to both the arduous labor and poverty of farm life. Helena was only able to attend formal schooling for three winters, as her help was needed on the family farm. From the age of fourteen she worked as a domestic servant, caring for the children of wealthier families in the nearby cities of Aleksandrow and Lodz. 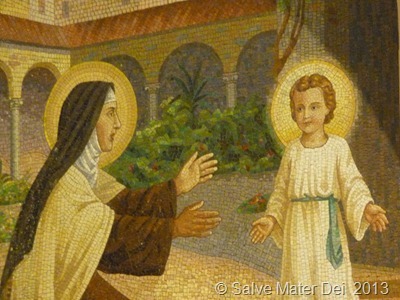 It was to this humble servant that Our Lord would reveal the magnitude of His Divine Mercy. St. Maria Faustia, Please Pray for Us! © SalveMaterDei.com, 2013. 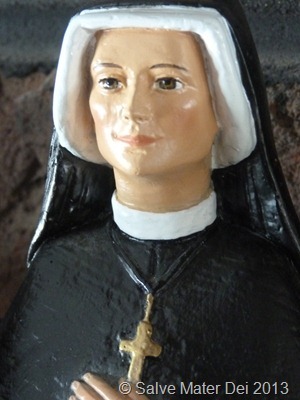 With her entrance into the convent of the Congregation of the Sisters of Our Lady of Mercy, on August 1, 1925, Helena Kowalska became Sr. Maria Faustina of the Most Blessed Sacrament. As soon as the veil was put on Sr. Faustina’s head, Our Lord immediately enlightened her soul regarding what she would have to suffer. Sr. Maria Faustina remained a member of the Congregation of the Sisters of Mercy until her death – a mere 13 years later – at the age of 33, on October 5, 1938. 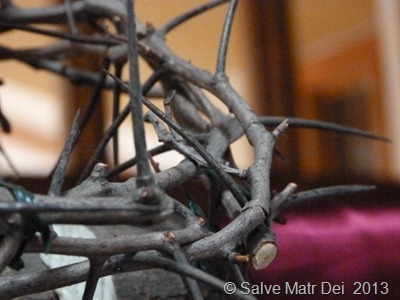 Your Life is to be Modeled on Mine, From the Crib to the Cross. . . . © SalveMaterDei.com, 2014. At that same time Jesus was filled with the joy of the Holy Spirit, and he said, “I give You praise Father, Lord of heaven and earth, for although You have hidden these things from the wise and the learned You have revealed them to the childlike. Yes, Father such has been Your gracious Will (Luke 10:21). One of the scholars who would later study and champion St. Faustina’s work, was a Polish kinsman, a certain Cardinal Karol Wojtyla. 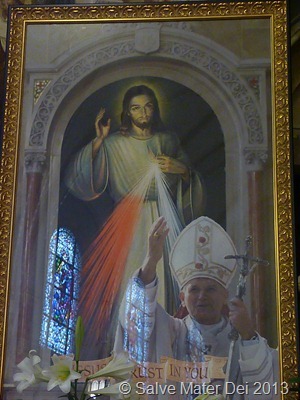 In 1981, Pope St. John Paul II published an encyclical, Dives Misericordia – Rich in Mercy, in which the Holy Father drew from the theme of Divine Mercy present in St. Faustina’s Diary- Divine Mercy in My Soul. On April 18, 1993, Pope St. John Paul II beatified Sr. Faustina; and seven years later -on Mercy Sunday, April 30, 2000 – Pope St. John Paul II canonized St. Faustina as the first saint of that Jubilee year. This Sunday, April 27, all the world will celebrate the canonizations of both Pope St. John Paul II and Pope St. John XXIII- truly this Divine Mercy Sunday will be a blessed and historic moment in time. St. Faustina’s entire mission was to convey to the world the unfathomable Mercy of Christ. Over the years, Our Lord revealed much to her. My Mercy is Greater than the Sins of the World. © SalveMaterDei.com, 2014. Blessed Are The Merciful, for Mercy Shall Be Theirs. © SalveMaterDei.com, 2014. As we prepare to celebrate the great Feast of Divine Mercy, initiated by Our Lord, and instituted by Blessed Pope John Paul the Great, let us continue with the eighth day of the Novena of Chaplets. For complete instructions please visit the Divine Mercy website run by the Marians of the Immaculate Conception: http://thedivinemercy.org/message/devotions/praythechaplet.php. Today we also continue with the eighth day of the preparatory novena dictated by Our Lord to St. Faustina. Each day He instructed Sr. Faustina to bring a certain group of souls into the abyss of His mercy by means of prayer, and likewise to intercede for them before the throne of God the Father. Most Merciful Jesus, You Yourself have said that You desire mercy; so I bring into the abode of Your Most Compassionate Heart the souls in Purgatory, souls who are very dear to You , and yet, must make retribution to Your justice. May the streams of Blood and Water which gushed forth from Your Heart put out the flames of Purgatory, that there, too the power of Your mercy may be celebrated. One of the greatest ways we can share the Mercy of Christ with others is to pray for them. Thus, praying for those souls who are yet journeying from physical death to Paradise, and being purified of the stain of sins committed in this life, is itself a worthy act of mercy. Together with St. Maria Faustina let us immerse the suffering souls in the abyss of God’s mercy, and beg Our Heavenly Father to look upon them in no other way, but through the wounds of Jesus. Praise the Lord for He is Risen! Indeed, He is Truly Risen, Alleluia! It is therefore right that we should glorify the mercy of God, and proclaim it to others. With this thought in mind we continue to prepare for the Feast of Divine Mercy Sunday, a feast on which Our Lord promised immeasurable graces to those who celebrate the unfathomable nature of His mercy. Our Lord spoke to St. Faustina fourteen times regarding this incredible Feast that He Himself instituted on the First Sunday after Easter. Today we pray the Divine Mercy Chaplet for the seventh day of our novena of preparation. 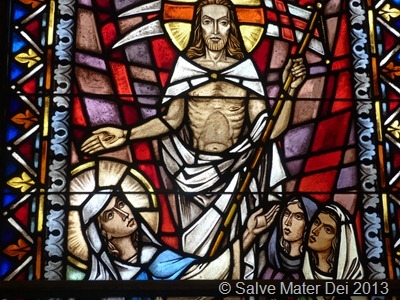 For complete instructions, please visit the Divine Mercy website run by the Marians of the Immaculate Conception: http://thedivinemercy.org/message/devotions/praythechaplet.php. Also today, we pray the seventh day of the preparatory novena Our Lord dictated to St. Maria Faustina. Through this novena, Jesus requests that Sr. Faustina bring a different group of souls into the abyss of His mercy each day for nine days. 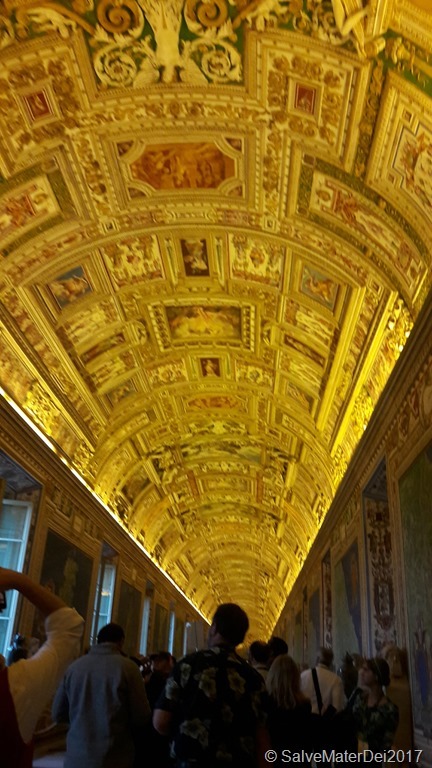 He requested that she pray for these groups of souls, immersing them in His Mercy, and pleading for them before the throne of God the Almighty Father. 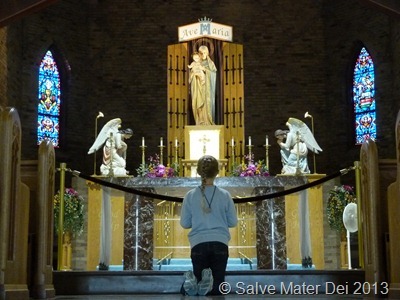 Bring to Me Souls Who Especially Venerate My Mercy © SalveMaterDei.com, 2014. 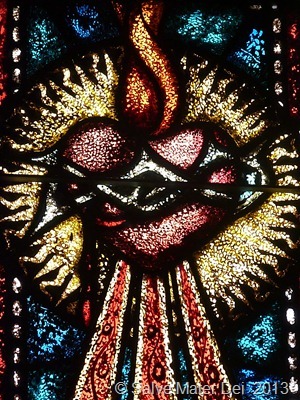 Most Merciful Jesus, Whose Heart is Love Itself, receive into the abode of Your Most Compassionate Heart the souls who particularly extol and venerate the greatness of Your Mercy. These Souls are mighty with the very power of God Himself. In the midst of all afflictions and adversities they go forward, confident of Your mercy; and united to You, O Jesus, they carry all mankind on their shoulders. These souls will not be judged severely, but Your mercy will embrace them as they depart from this life. Blessed are the Merciful! © SalveMaterDei.com, 2014. So too must our hands be engaged in the work of mercy if we are to share in the myriad of graces He promises to lavish upon us. While this is a difficult command, His grace is sufficient for our weakness. Lord, please grant me the grace to be merciful as You are merciful! May the Risen Christ bless you and yours abundantly. 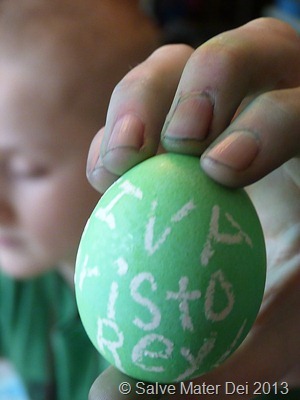 I love watching the reflection of Easter in the eyes of my children. The purity of their love shines forth. Children have a unique relationship to God. Our Lord chose to enter the world as a helpless, innocent babe, and from the moment of the Incarnation, He became one of them, one of us. 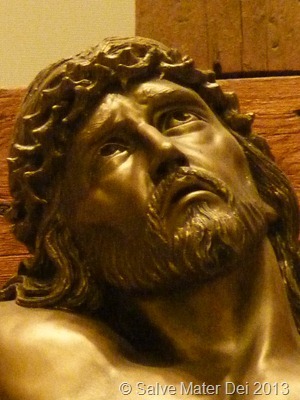 As we walk the outdoor Stations of the Cross, and listen to the Passion on Palm Sunday and Good Friday, our Lord’s suffering seems to resonate deeply with them. Their piety is genuine; their love is deep. Just as sorrow seems to carve a space within us, so too later that whittled space can brim with joy. Easter through the eyes of a child is a blessing to behold! As we prepare for the great feast of Divine Mercy Sunday, we continue with the sixth day of the novena of chaplets, prayed with ordinary rosary beads. For complete instructions on how to pray the Divine Mercy Chaplet, visit the Divine Mercy website of the Marians of the Immaculate Conception at: http://thedivinemercy.org/message/devotions/praythechaplet.php. Most Merciful Jesus, You Yourself have said, “Learn from Me for I am meek and humble of heart.” Receive into the abode of Your Most Compassionate Heart all meek and humble souls and the souls of little children. These souls send all of Heaven into ecstasy and are the Heavenly Father’s favorites. 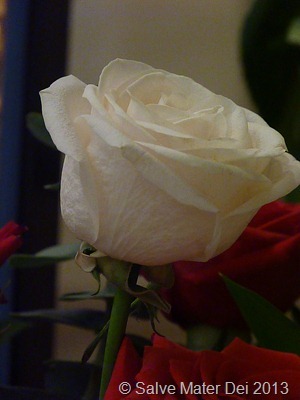 They are a sweet-smelling bouquet before the throne of God; God Himself takes delight in their fragrance. These souls have permanent abode in Your Most Compassionate Heart O Jesus, and they unceasingly sing out a hymn of love and mercy. Eternal Father, turn Your merciful gaze upon meek souls, upon humble souls, and upon little children who are enfolded in the abode which is the Most Compassionate Heart of Jesus. These souls bear the closest resemblance to Your Son. Their fragrance rises from the earth and reaches Your very throne. Father of mercy and goodness, I beg You by the love You bear these souls and by the delight You take in them; Bless the whole world, that all souls together may sing out the praises of Your mercy for endless ages. Amen. 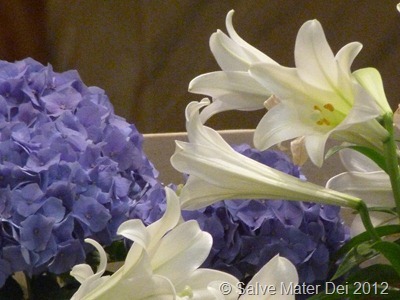 A Sweet Smelling Bouquet. . . . © SalveMaterDei.com, 2011-2012. If God Himself takes delight in the souls of children, and the humble souls who resemble them, can we do no less? In honor of these special souls I am reposting a prayer I penned and posted many months ago. If I had the faith of a child, I would welcome each day with delight. With reckless abandon, I would pursue the task of Life. With confidence I would speak to Him about little things throughout the day. If I had the faith of a child, I would view His creation with a sense of wonder. With gratitude, I would thank Him for the flowers, and snowflakes, and autumn leaves…. And I would seek shelter in His Magnitude. Rather, I would marvel in the timelessness of eternity. Instead, I would trust in His Providence to make it all right. .If I had the faith of a child, my prayers would be simple. With innocence, I would reflect His purity. And I would believe in my heart that His Mercy is greater than my weakness. With simplicity, I would accept the incomprehensible. If I had the faith of a child, I would make God laugh. He Would Delight in My Littleness © SalveMaterDei.com, 2013. He would delight in my littleness, and I in His Omnipotence. He would fill me with His gifts and I would share them. For, He would reveal the secrets of His Heart. If I had the faith of a child, I would enter the Kingdom of God! I would hope for Heaven, yet see the Kingdom here around me now. If I had the faith of a child, I would trust that my every prayer would be answered. Lord, please, grant me the faith of a child! 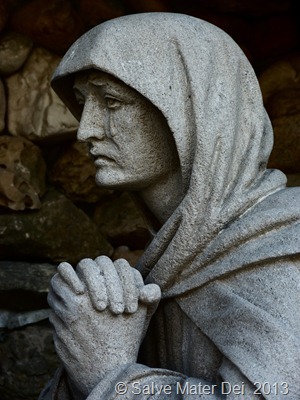 “While I was weeping at the tomb, I saw my Lord (Evening Antiphon, Tuesday Octave of Easter, Divine Office, Liturgy of the Hours).” Have you longed for something so deeply that you nearly missed it when it was given to you? Have you ever prayed with all your heart and soul for a grace, only to have God answer with miracle beyond your wildest imagination? That is exactly how we find Mary Magdalene in today’s Gospel from Holy Mass, on this the Tuesday of the Easter Octave. Mary Magdalene stayed outside the tomb weeping. And as she wept, she bent over the tomb and saw two angels in white sitting there, one at the head and one at the feet where the Body of Jesus had been. And they said to her, “Woman, why are you weeping?” She said to them, “They have taken my Lord, and I do not know where they have laid Him.” When she had said this, she turned around and saw Jesus there, but did not know it was Jesus. Jesus said to her, “Woman, why are you weeping? Whom are you looking for?” She thought it was the gardener and said to him, “Sir, if you carried Him away, tell me where you laid Him, and I will take Him.” Jesus said to her, “Mary!” She turned and said to Him in Hebrew “Rabbouni,” which means teacher. Jesus said to her, “Stop holding on to me, for I have not yet ascended to My Father and your Father, My God and your God.” Mary went and announced to the disciples, “I have seen the Lord,” and then reported what He told her (John 20: 11-18). One can easily picture the distraught Mary Magdalene, kneeling in exhausted sorrow that Easter Morning, before Our Lord’s tomb. Sobs rack her body; her eyes are swollen from two days of grief, and her strength has faded. She had seen Jesus tried, tortured, and crucified. With Mary, and a handful of others she had hastily prepared Jesus for burial, and watched the stone set to seal the tomb. These past two days had been spent in a numb pain; alternating between fear, anger, and grief. How could this have happened to her Lord? There was nothing more that the chief priests, council, temple guard, or Roman soldiers could do that would surprise her. 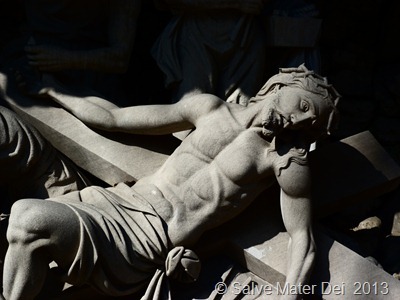 She Had Helped to Prepare His Body for Burial . . .© SalveMaterDei.com, 2014. Now, as Mary Magdalene kneels in agony before the empty tomb, her pain is so great that she misses the joy that is before her. Her sorrow is so monumental that she is utterly oblivious to the two angels in white who are sitting “one at the head and one at the feet where the Body of Jesus had been.” The angels speak to her, and Mary is still so thoroughly immersed in her own grief that their presence, their words do not even register. Sorrow turns to Joy! © SalveMaterDei.com, 2014. Christ Himself repeats the query of the angels: “Woman, why are you weeping?” She perceives Him to be a gardener, and is so intent on finding the dead Jesus, that she misses the Risen, Living Christ in front of her very eyes! She wants to find Jesus’s body, and return it lovingly to the tomb. She is even willing to try to carry it herself – “tell me where you laid Him, and I will take Him.” However, God’s plans are far greater than she can imagine. As Jesus calls her name, her eyes are opened – just like so many of the blind whom Jesus had cured. One can imagine the joyous reunion and Mary hugging Jesus with the strength of an iron vice-grip. One can almost sense a hint of amusement in Our Lord’s voice as He tells to loosen her grip: “Stop clinging to me!” Jesus tells Mary that He still has work to accomplish. “I have not yet ascended to My Father and your Father, My God and your God.” It is as if Our Lord is telling her, “In Heaven you will have all eternity to cling to Me if you wish, but for now, We need to get moving. You have work to do, as do I!” Again, there is a message for us as well. How often do we miss the grace and miracles that Our Lord lavishes upon us, because we are too narrowly focused on challenges of which seem insurmountable? God’s glorious designs surpass our greatest fears; His brilliance erases the bleakness of our sorrow. Jesus calls each of our names, just as He called out to Mary. Our task is to recognize the call, and respond to it with a hearty embrace of Our Risen Lord. Our Task is to Embrace the Risen Lord. © SalveMaterDei.com, 2014. 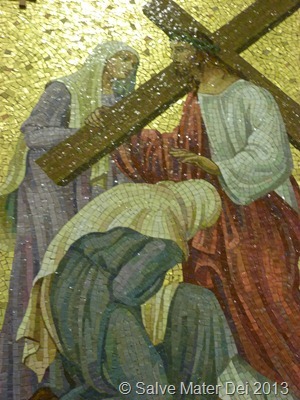 As the Easter Octave progresses we move toward the Great Feast of Mercy Sunday. We continue with the fifth day of our novena of Divine Mercy Chaplets. 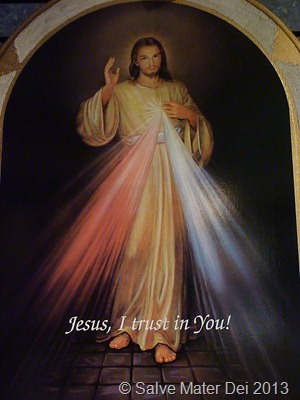 Again, full instructions regarding how to pray the Divine Mercy Chaplet can be found on the Divine Mercy Website of the Marians of the Immaculate Conception at: http://thedivinemercy.org/message/devotions/praythechaplet.php. St. Maria Faustina, Please Pray for Us! 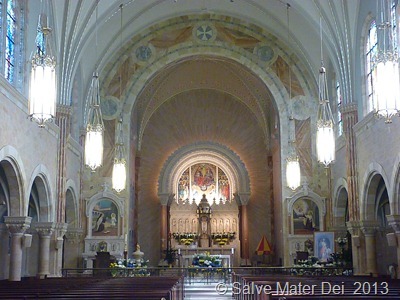 © SalveMaterDei.com, 2014. Today let us join St. Maria Faustina in praying for those who have separated themselves from the Holy Church. We intercede for all individuals who squander the graces God has lavished upon them, and pray that they may soon return to unity with the Church. As Jesus Himself prayed, “Father, may they all be one (John 17:21).” With Mary Magdalene, may we each have the grace to turn to Lord, and respond to His call; to embrace Him with all our strength, and to endeavor to do His will. May the Risen Christ bless you and yours abundantly. Ad Jesum per Mariam M.A. J.M.J. ** Divine Mercy Celebrations will be held at churches world-wide in accordance with Our Lord’s directive to St. Maria Faustina. 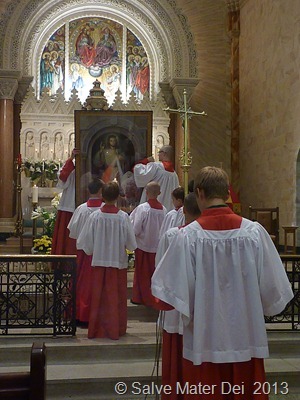 Confessions, Holy Mass (often at 3 p.m.) and the singing of the Chaplet of Divine Mercy usually occur at these events. There is a true outpouring of grace at these events. Contact your local Archdiocesan Office for details and locations of hosting churches. Wife, Mom, Teacher, Friend, Sister, Daughter, Bioethicist, Bookworm, Secular Discalced Carmelite – I could be described by many titles. However, the cord that links them all together- the very substance of my being is my Catholic Faith. 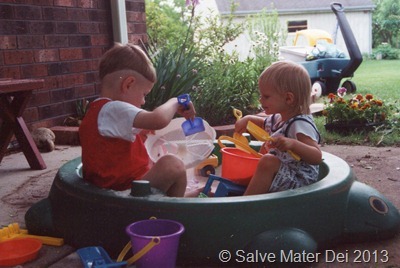 As a homeschooling mom to 8 effervescent, dynamic kids, I see life as an exquisite journey, full of joy and challenge. Increasingly I find my personal pilgrimage to be deeply influenced by Section 54 of Pope Saint John Paul II’s Encyclical Ut Unum Sint, in which the Holy Father declared that “the Church must breathe with her two lungs.” I invite you to join me on this sojourn of faith, as I endeavor to reflect and magnify the glory of God, and rejoice in God my Savior. 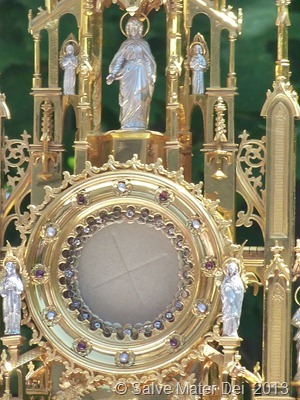 Lord Jesus, in Your tender mercy and love, please bless all those who visit this site. 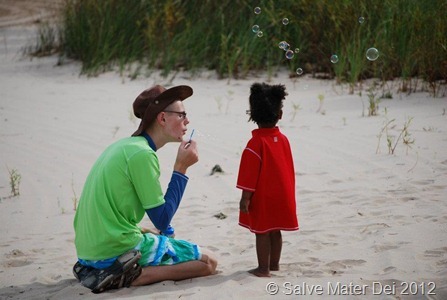 Tom Perna and "Monday's With Mary"
Dan's House of Hope, INC.
© SalveMaterDei.com, 2011-2018. Unauthorized use and/or duplication of this material without express and written permission from this blog’s author and/or owner is strictly prohibited. 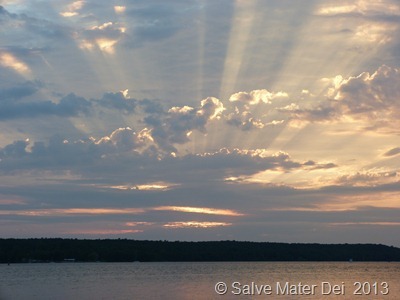 Excerpts and links may be used, provided that full and clear credit is given to SalveMaterDei.com with appropriate and specific direction to the original content. The views represented on this blog are solely mine. 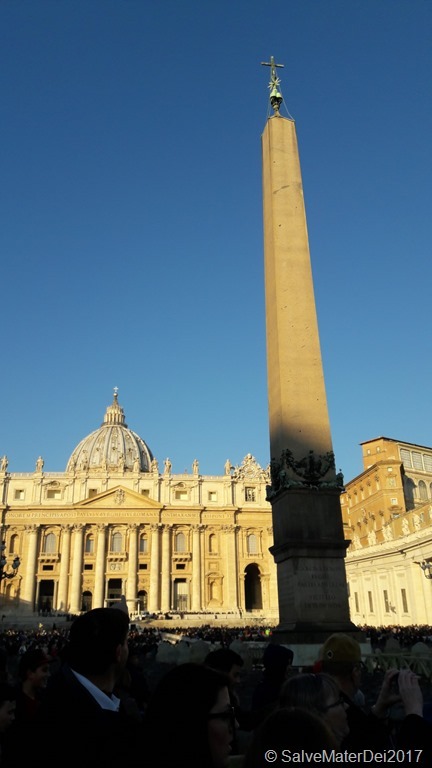 I fully and humbly submit to the authority of the Magisterium of the Holy Catholic Church,. Should anything I write ever appear in apparent conflict with the teachings of the Magisterium, it is purely accidental, and the Magisterium’s authority is supreme.